Up to 50% more ride time than the previous model! Ride through the neighbourhood like a bolt of blue lightning with the Razor Power Core E100 Scooter. 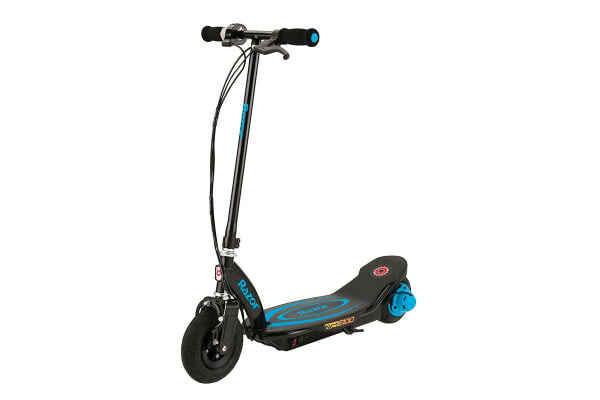 With speeds of up to 16km/h and up to 60 minutes of continuous use, nothing can hold you back. Prepare for an an out-of-this-world ride!